30 Countries, 15 National Championships, 5 Regional Championships, 1 World Champion. 2018 will showcase the world’s top athletes as they conquer the globe in pursuit of the ultimate prize: Spartan World Champion. 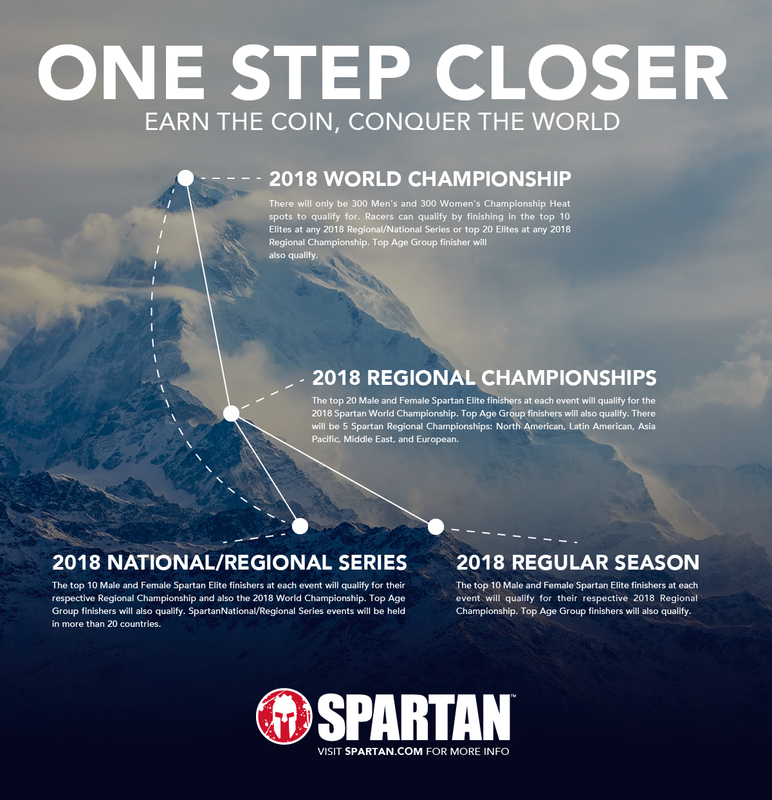 Spartans will battle the rugged terrain of North America, Europe, Asia Pacific, South America and the Middle East en route to the 2018 Spartan World Championship. Will you witness it? Or help write it? Introducing the 2018 Spartan Regional Championships. 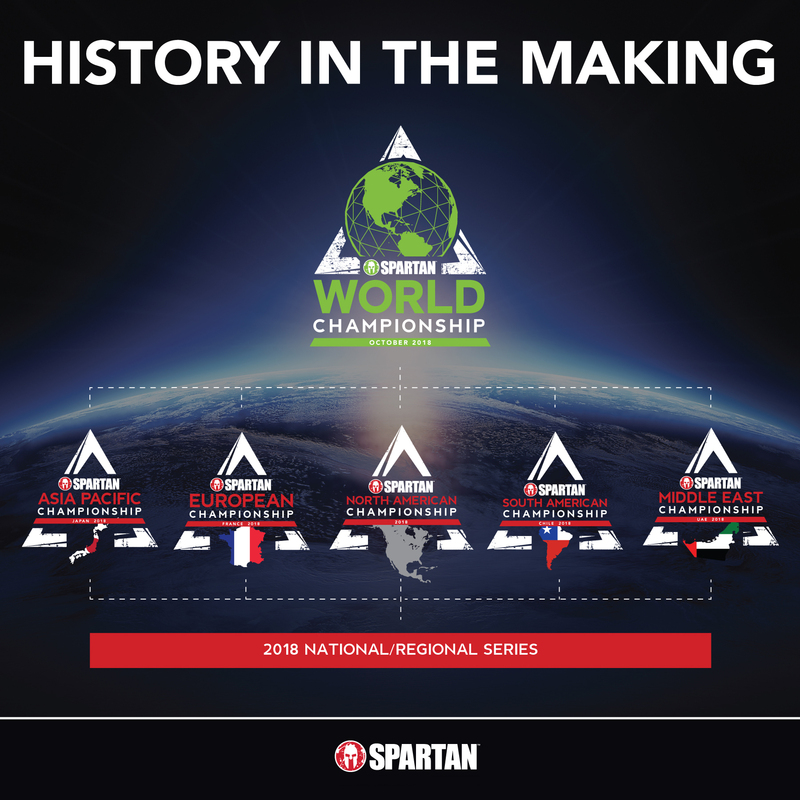 Spartans will battle the rugged terrain of North America, Europe, Asia Pacific, South America and the Middle East en route to the 2018 Spartan World Championship. Top finishers from the Spartan Regional Championships will qualify for the 2018 Spartan World Championship. Unleash Your Inner Beast and prepare for glory. The best athletes from more than 30 countries will converge for the world’s largest battle of endurance, will, and determination. The top athletes from the Spartan Regional and National Championships will battle it out to see who will take home obstacle racing’s top crown: Spartan World Champion. Many will compete. One will prevail. Will you be there? The road to the 2018 Spartan World Championship is paved with commitment, determination, and resilience. Qualify and get one step closer to world dominance. Spartan will host 5 regional championships around the world in 2018. Racers will be competing from the deserts of Dubai, to the snowcapped peaks of Colorado, with more prize money than ever before on the line.